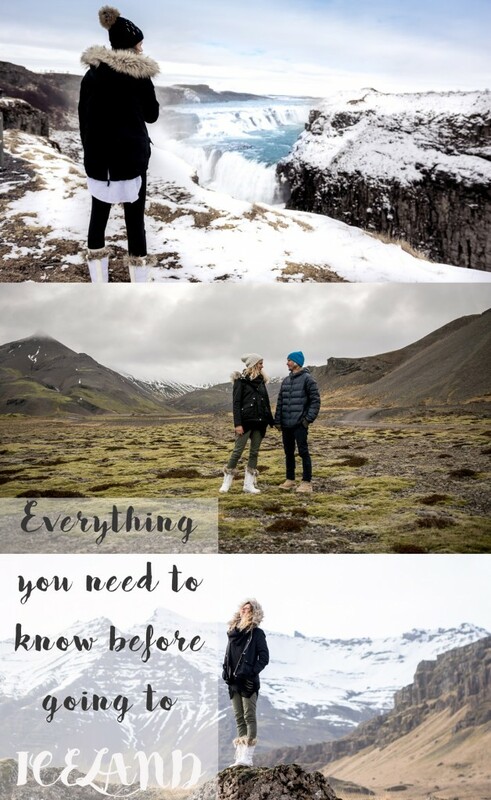 If you are planning a trip to Iceland for the first time, there are some essential things to know before you go. So grab a cup of coffee or a tea, a comfy seat and get ready for a long list of reading ( just kidding, not too long, but I promise it’s worth it ). The local language is Icelandic and by far the hardest one for us to read and pronounce. For example, try saying this: Rauðfeldsgjá or Eyjafjallajökull or Vatnajökulsþjóðgarður, exactly, we gave up on our attempts. Plus, nothing sounds like it looks like, but don’t worry, English is widely spoken throughout the country. The Local currency is Icelandic króna (ISK) but credit and debit cards are accepted almost everywhere. American Express is more limited, mostly in Reykjavik, the airport and some bigger gas stations would take it. Payment with cards use the chip-and-pin method. If you prefer to carry cash, there’s a bank and an ATM at the Keflavík Airport. 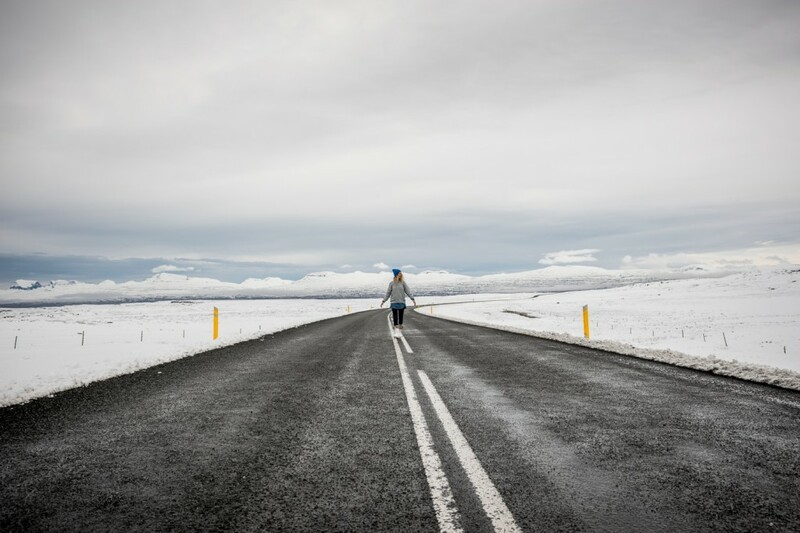 In Iceland they use the metric system so everything will be in km (kilometers), m (meters) or l (liters). Also they use the European electrical standards (50 Hz, 230 V) with type F power outlets and plugs so you may need and a power adapter/converter. The main airport is Keflavík International Airport (KEF) and is located about 50km (45min) southwest of the capital Reykjavík. There are many airlines offering flights to and back from Iceland, but lately the most popular are Icelandair and WOW Air. Depending on the time of the year, you can find great deals and they have what’s called stopover option. 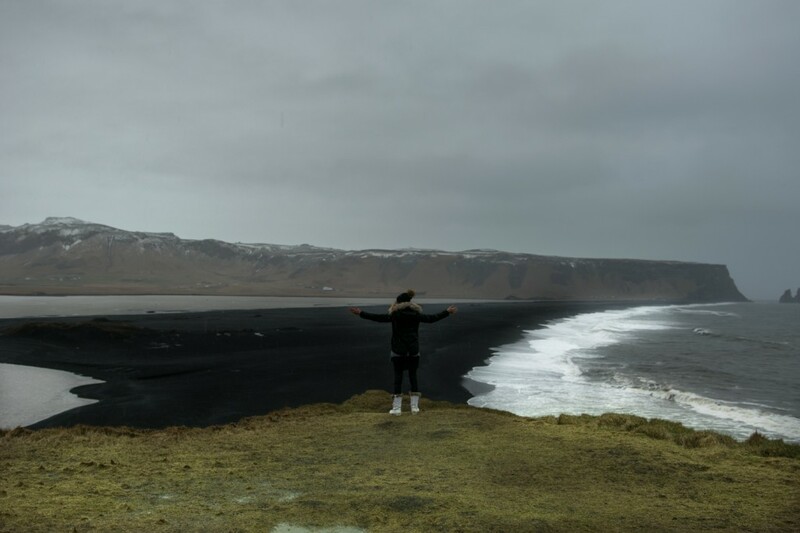 You can fly to Europe from USA or viceversa with a 7 day layover in Iceland, we found that to be the best deal. For citizens from countries within the European Union (EU)you will need either a valid passport or an identity card to enter. For citizens from Australia, Canada, New Zealand or the USA: only a valid passport. For all other countries: please double check the individual requirements. Wow Air is know for having great cheap deals to Iceland with direct flights from USA. There’s a trick though, that most people don’t realize. The deals that you are getting doesn’t include anything besides your flight fare. What this means is that you will still have to pay for your luggage and let me tell you it’s not only $25 like most airlines charge, NO. It’s $7o for a checked bag ONE WAY. That add an extra $14o to your ticket price. Ok, let’s say you pack light and you won’t check a bag, you still have to pay for your carry on, WHAT, that’s right. The only thing you are allowed for free is your personal item. Carry on is still $50 one way, well that my friends adds up quite a lot and at the end you pay way more than you thought. 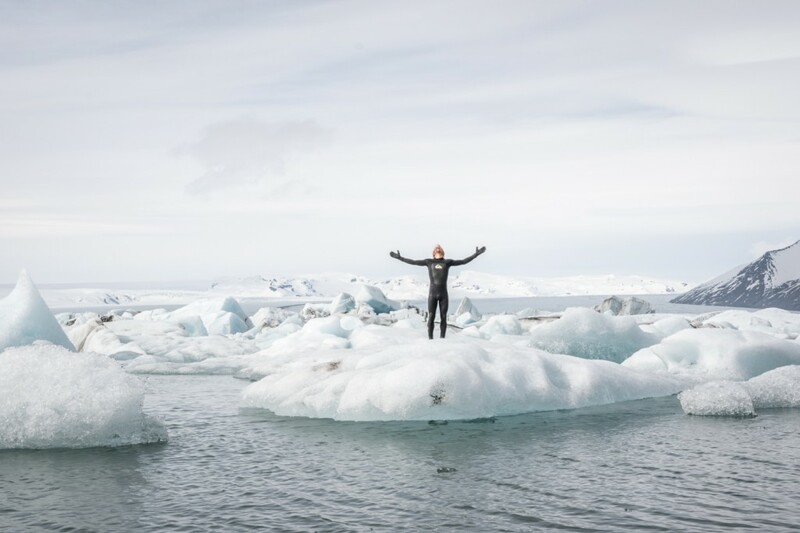 Unless you are going to Iceland June, July and August, it’s freezing cold, which means it would be hard to fit winter clothes in a carry on. Especially if you are a girl who likes to overpack like my wife. Oh wait, did I forget to mention that there are not TV screens on the plane. Yes, in a long haul 9 hours flight like LAX-KEF, I like watching movies, but there’s none. So bring your own entertainment unless you are planning to sleep the whole flight. One last thing: no complimentary drinks or food, WHAT? Yes not even water, make sure you are prepared for that. Bring your own water and snacks my friends. 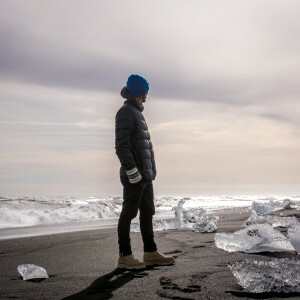 The best thing is that Iceland has something to offer every month of the year, so it really depends on what you want to see and do on your trip. There’s probably three most important things to consider when deciding on that: weather, crowds and number of daylight hours. 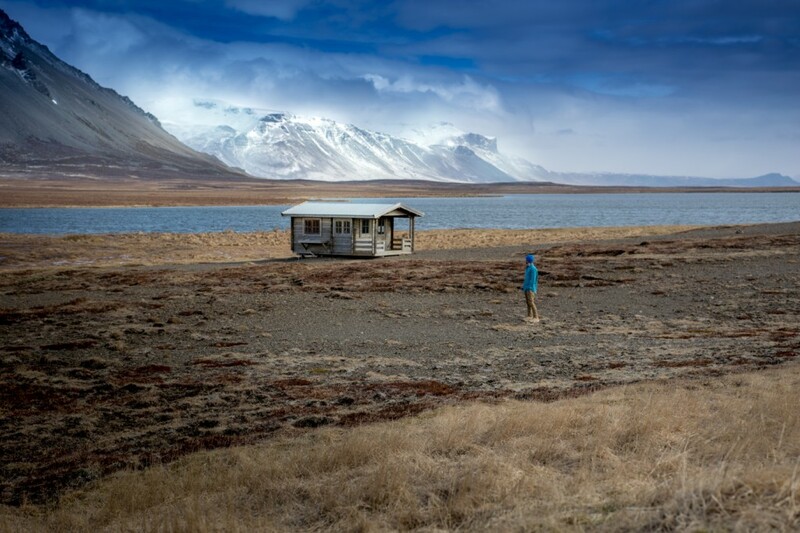 The high-season in Iceland starts from mid-June, peaks in July and slows down by end of August. Going during that time you can expect the most crowds, way higher prices, accommodations almost sold out, all roads open, lot of daylight hours ( almost 24h ), no northern lights and better weather. May and September are usually great months to visit. Crowds are less, prices affordable, great for whale watching and still plenty of daylight hours. In the fall the colors are changing and in the spring you can see the Northern Lights. Winter months have less daylight hours, the most unpredictable and rough, cold weather, leading to road closures and a need for a plan B, but beautiful winter landscape. 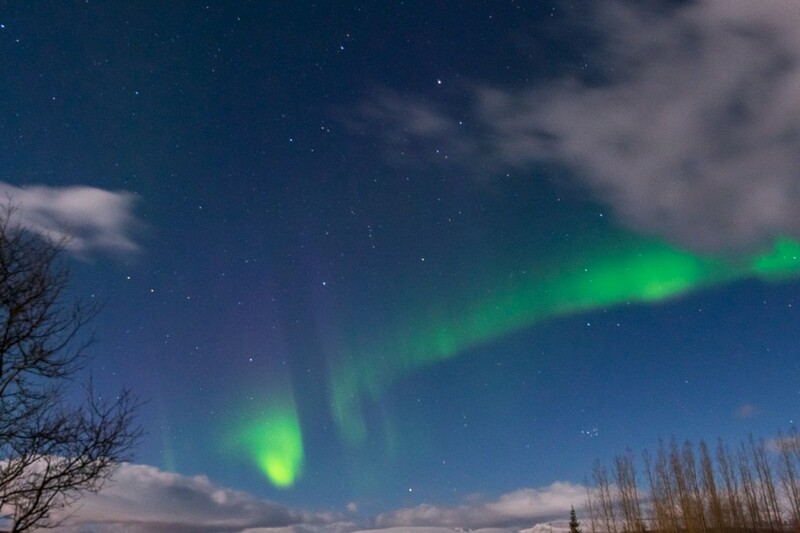 Prices are cheaper, no crowds and the possibility of seeing the northern lights. We went in early April and loved every moment of it. We had to see and experience everything. From snowy weather which was amazing, to rain, wind, sunshine, and the best was we got to see the Aurora Borealis. Prices were affordable, plenty of daylight and road conditions were great. 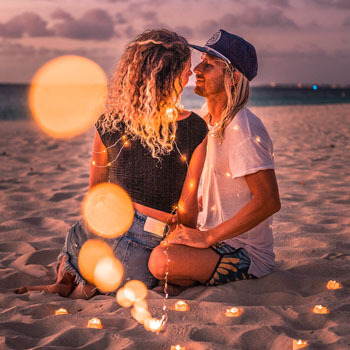 No matter when you choose to go there’s no doubt that you will love every moment of it, we promise that. There’s no right or wrong for this, the longer the better. No matter how long you choose to stay won’t be enough for real. We recommend a minimum a week, at least 10 days, two weeks preferably or a month would be the best. Things to consider are the season when you will be visiting. If it’s in the peak season, anywhere from mid June until end of August, make sure you book your accommodations way in advance. Especially if you are driving around on the Ring Road and planning to stay in the countryside. On the other hand, summer would be best for camping and saving money on expensive accommodations. 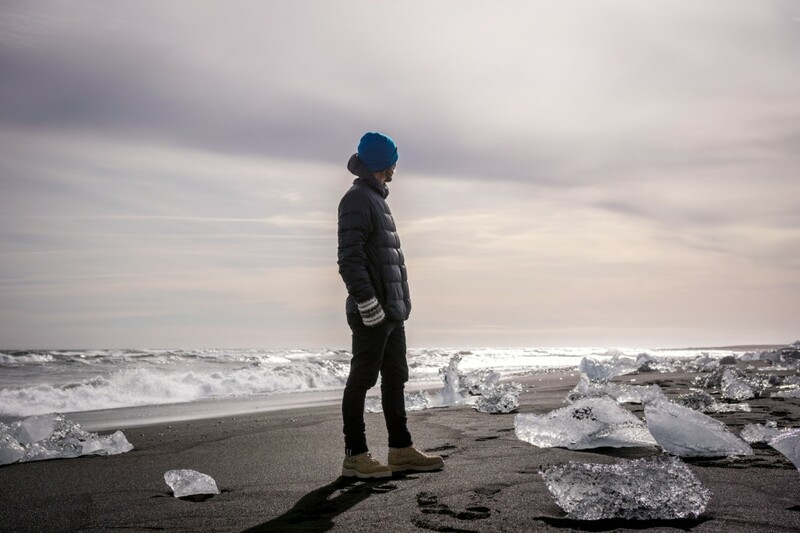 Great place to rent everything for your camping trip is Iceland Camping Equipment. Our best friends when it comes to accommodations were mostly Airbnb and occasionally Booking.com. Find details of all the places we stayed HERE. The total cost for our 7 nights accommodations was $780 for 2 people. We chose places with kitchens so we could cook our meals and save $$$ on eating out. 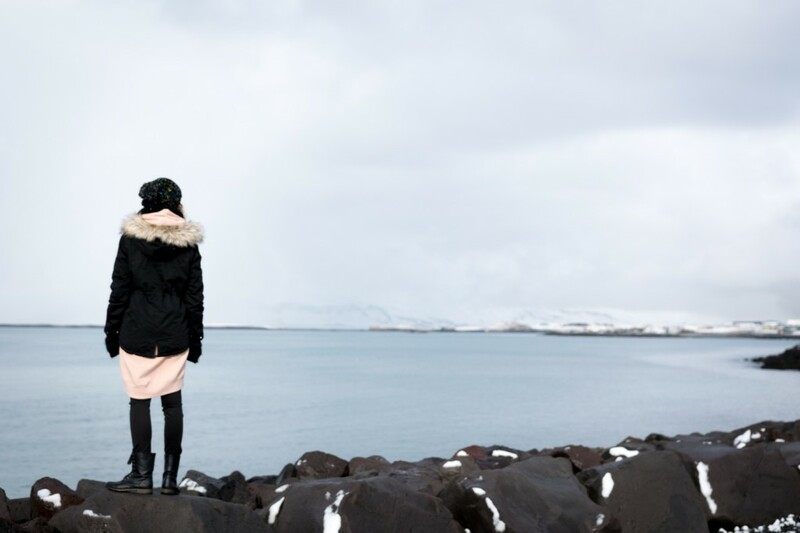 As you may heard this before, Iceland’s weather is unpredictable. Due to it’s location just south of the Arctic Circle, but thanks to the Gulf Stream, temperatures are cool in summer and remarkably mild in winter. I’ve heard that New York winters are way worst. Be prepared to encounter four seasons in 1 day. The strongest wind we’ve encountered was in Iceland and that was in April. The locals say ” if you don’t like the weather wait 5 minutes and it will change “. True, but also true it didn’t stop raining one of the days we were there, the entire day. So my advice, be prepared, bring appropriate clothes, rain gear, and forget about the weather, just enjoy the scenery no matter what. There are websites that you can follow the forecast for the Northern Lights and they are great. Our advice is that even if they say a low chance to see them, still go outside around midnight and look. When we were there it was a 10% chance to see them, despite that we looked for them and voilà. It is easier to be in the country because it requires a dark sky to watch them rather than in the city. 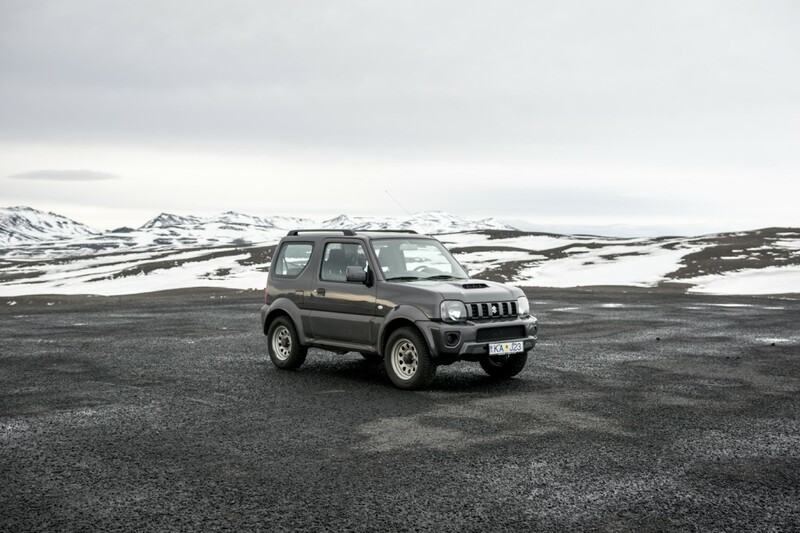 Needless to say that renting a car is the best way to get around Iceland. 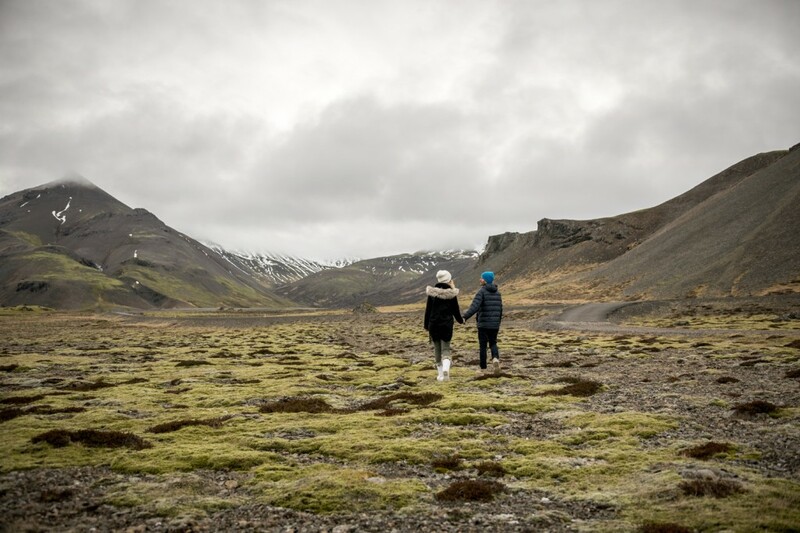 Unless you are only on a layover for a day or two, then you can use the public transportation from the airport to Reykjavik and walk the city by foot. 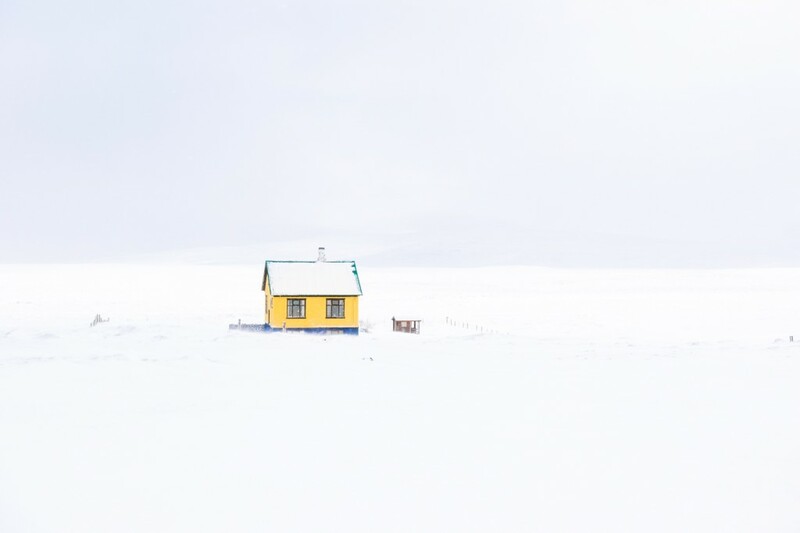 If you have two days and still don’t want to pay for car rental, there are many tour buses that goes on a day trips to the Golden Circle or elsewhere but mostly during the summer months. But having your own car gives you the freedom to be on your own schedule and see things you want off the beaten path. Layers, layers, thermal layers, leggings etc! You can’t go wrong with bringing too many layers. Weather could be very cold windy and wet. We used to live in the mountains in Colorado so we were well prepared. We brought our snowboarding first layers and they kept us warm. One thing we wish we had brought was long rain gear or ponchos, it rained a lot. Hats, scarves, gloves, anything you can bundle up. There are places like Solheimasandur Plane Wreck that you will have to walk for 45min one way no matter if it rains or snow. Warm socks and good waterproof boots ( not shoes ladies ), there will be mud and puddles of water and creeks to cross. Anything waterproof you can think of. During the winter months, might as well bring your ski/snowboard pants and jackets. Let’s not forget a swimsuit and a towel. Besides the Blue Lagoon there so many hot springs that you will want to jump in and warm up. There are some natural ones that you can find just on the side of the road. If you plan on cooking your meals and not eating out, bring with you to go container ( to prepare your food for the day ), silverware, wet or paper napkins and this freezable lunch box. Bring your own reusable water bottle as you can fill it with the cleanest tap water or even from the waterfalls on the road. 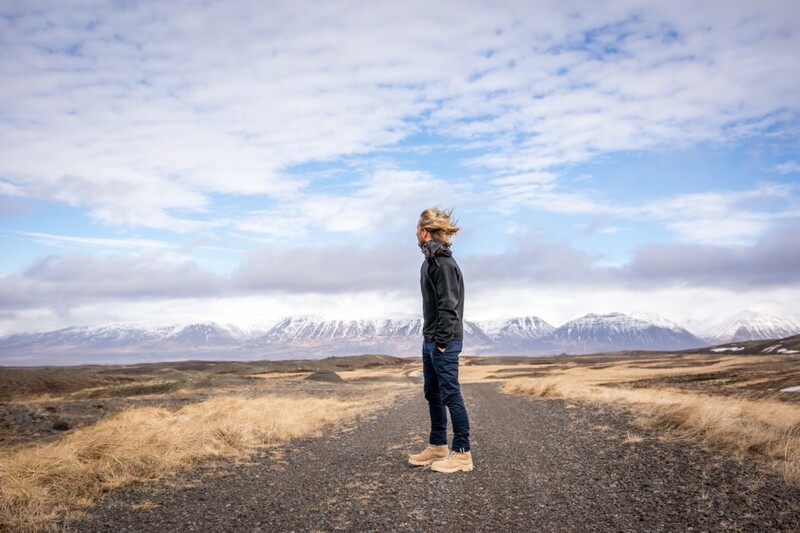 To rent a car in Iceland you need a valid driving license and a minimum age of 20 years old. For a 4×4 the minimum age is 23 years old. No need of an International Driving Permit, unless your driving license does not use the Latin alphabet. No matter which country we travel, the cheapest deals we find are on carrentals.com ( and no, we don’t get paid from them to say that ). The best is that you can reserve the car without credit card and cancel anytime. Regarding insurance, it’s really up to you. If you want piece of mind go for full coverage. We declined all the insurance and only kept our CDW through our credit card. We have heard crazy stories about rental cars charging for small damages to the car. It’s true there are a lot of gravel roads in Iceland, which might damage the paint or the windshield of the car, so it will be better to be safe than sorry. Unless you are traveling in the winter months, we think there’s no need of a 4×4, especially if you are only driving on the Ring Road. We rented a 4×4 in April from Fox for $470 for 7 days, and we didn’t need it. The main highway is kept well cleaned. If planning on going on some F roads then you may consider renting a 4×4. One thing to remember when driving around Iceland is to always fill up your gas tank even if it’s half full. You never know when and where the next gas station will be. Our rental car place gave us a map with all the gas station locations, so make sure you ask for one. It was very handy to have and to plan where we would get gas next. Also gas is definitely expensive but as long as you know in advance it’s not that shocking. It cost us for the whole drive around Iceland for the week $316 for gas. This is where most people get confused and have labeled Iceland as super expensive. Which could be true if you were only eating out in restaurants. But there is an easy way to save your money and do it cheaper. The solution: Grocery stores and renting accommodations with a kitchen so you can plan and prepare your meals. Check this out: the entire trip, 7 days we spent only $225 on food for 2 people, and no, we did not starve. That’s $113 per person, $16 a day not bad at all, who said Iceland can’t be done cheaply. There two great grocery stores in Iceland, Bonus (opens at 10am or 11am) and Krónan (opens at 9am or 10am). Both stores have really good selections on food even for vegans like us. 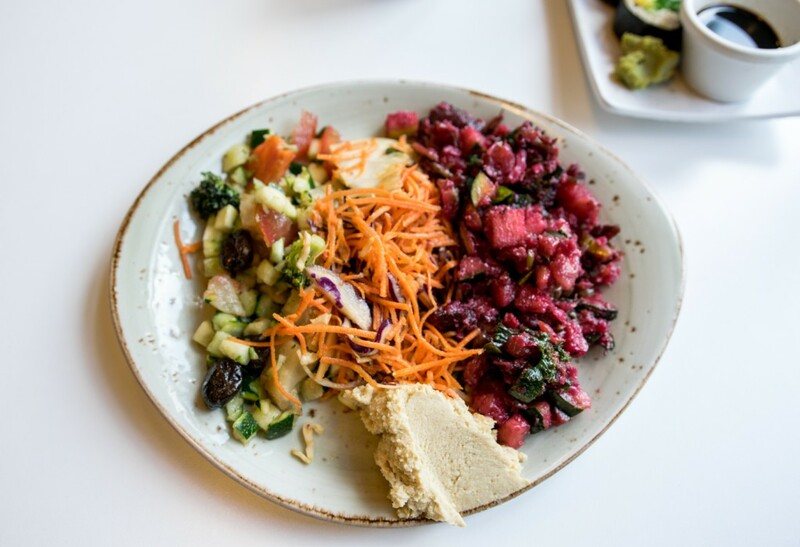 If you like healthy food with vegan options (like we do) try a delicious and affordable (for Iceland $13-18 plates) meal at Gló Restaurant in Raykjavik. Gratuity is usually added into the cost of the meal, but of course a lot of people know that tipping is a big part of American culture so they would never turn down extra tips! Do you want to save $$, then you have to stay away from alcohol, if that’s possible. Instead of a drink, enjoy the views. 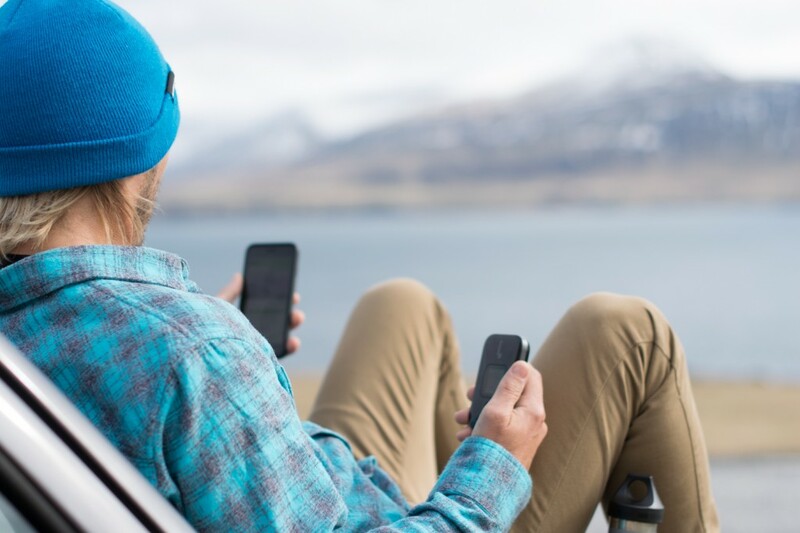 Instead of renting GPS for the car we rented a wifi hotspot device from Iceland Camping Equipment, it’s a better deal and you have 4G wifi everywhere you go. Wow, we can’t tell you enough how much this pocket machine made our trip easier and convenient. I don’t know how we traveled before without one of these devices. Reykjavik isn’t very big and you can see the main highlights in half a day. Although it’s a beautiful city, spending one day for us was enough, there’s way more to see in the countryside. 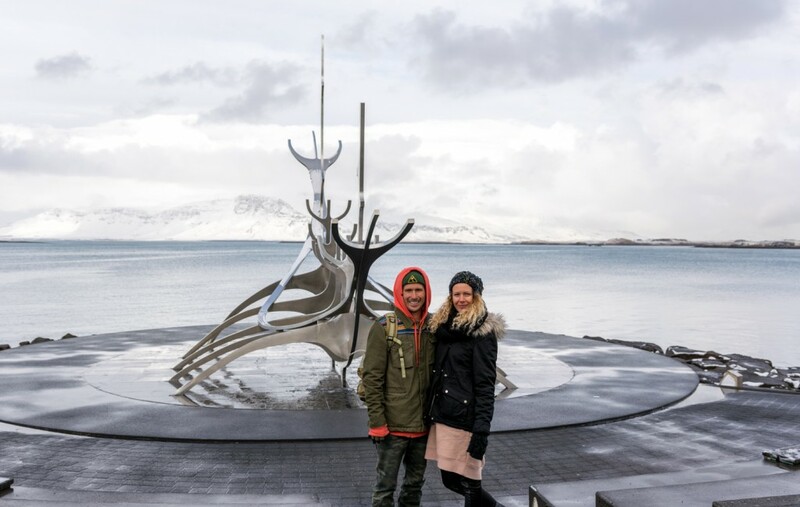 Highlights: Waterfront walk, Sun Voyager Sculpture, Harpa Concert Hall, Hallgrimskirkja church, Walk downtown. The most famous and photographed place in Iceland. I mean come on, soaking into a milky blue water who wouldn’t want to do that. But there are few things you should know before you go. You need to book your tickets online in advance and it is still expensive. We booked the Standard Package and since the cheapest hours were sold out we payed $67 per person. That is way too expensive for the experience, we thought. 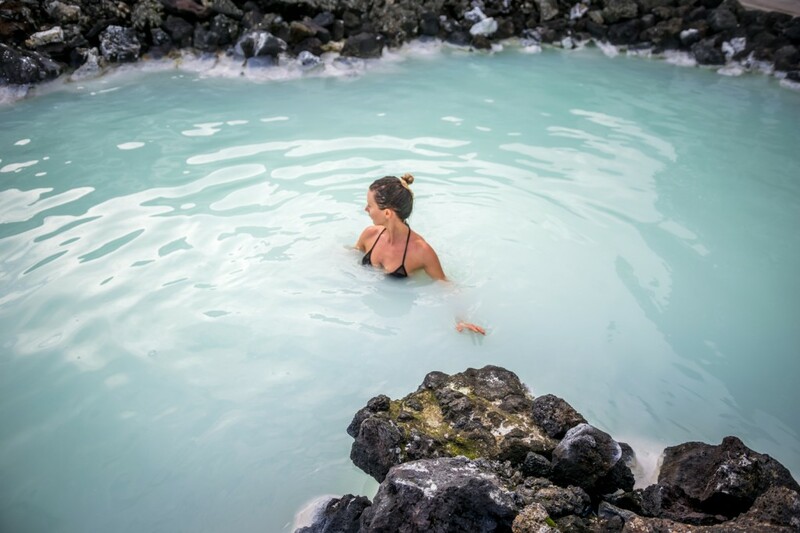 If you want a less crowded and commercialized Lagoon, visit Myvatn Nature Baths, at least we wish we did ($35 per person). Get there at least 15 minutes before as there a always a line and you might want to take some photos outside, it’s pretty cool. If you buy the Standard package, bring your own towel. There are lockers to store your things. There is a restaurant and café that are both nice but expensive. Before you get in the lagoon, you will be required to take a shower. To protect your hair from the silica and mineral content, use the conditioner in the shower, plus I added lots of leave in mask and lots of coconut oil. Even still, don’t let your hair touch water. It’s not as hot as you think, but there are some corners in the lagoon with hotter spots. 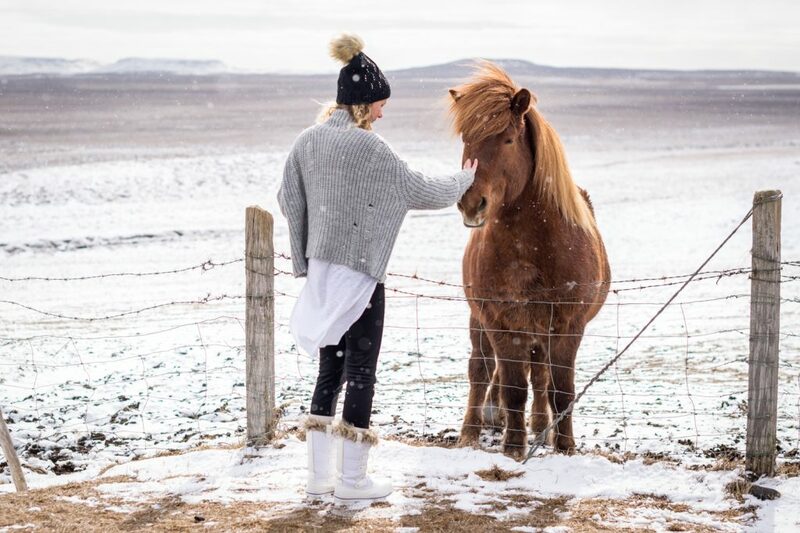 The most popular tour in Iceland, that can also be done as a day trip from Reykjavik, is the Golden Circle. It includes a visit to Thingvellir National Park, Gullfoss waterfall, and the Geysir area. 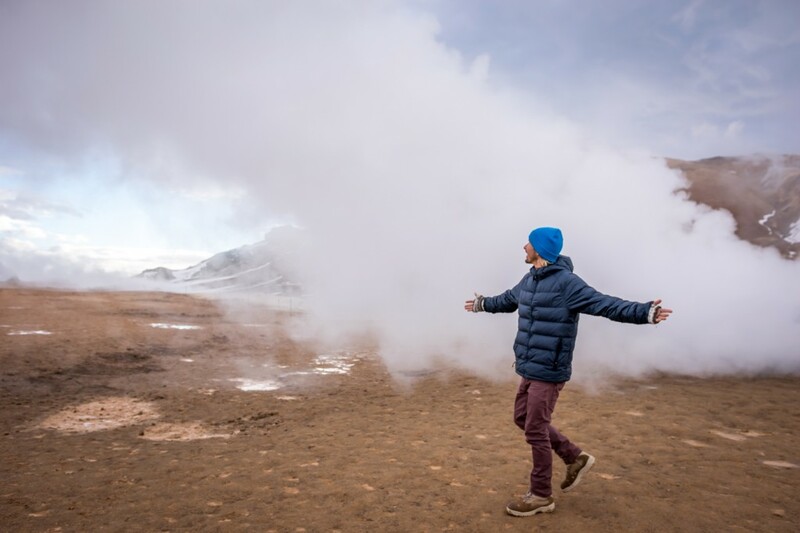 It is probably the most touristy thing you could do in Iceland and personally we like places less crowded with tourists so we did that section pretty quickly. Highlights: Pórufoss Waterfall, Pingvellir National Park, Bruarfoss Waterfall, Gullfoss Waterfall. It will be so tempting to stop everywhere and every 5 minutes as there are endless things to see in Iceland. We know that from personal experience, however, unless you have unlimited time it’s mission impossible. So remember when planning your trip don’t rely on Google Maps and the estimated time of arrival, it will take more time than you expected. Keep in mind, weather may change all the time and slow you down. Just always include some time for spontaneity. 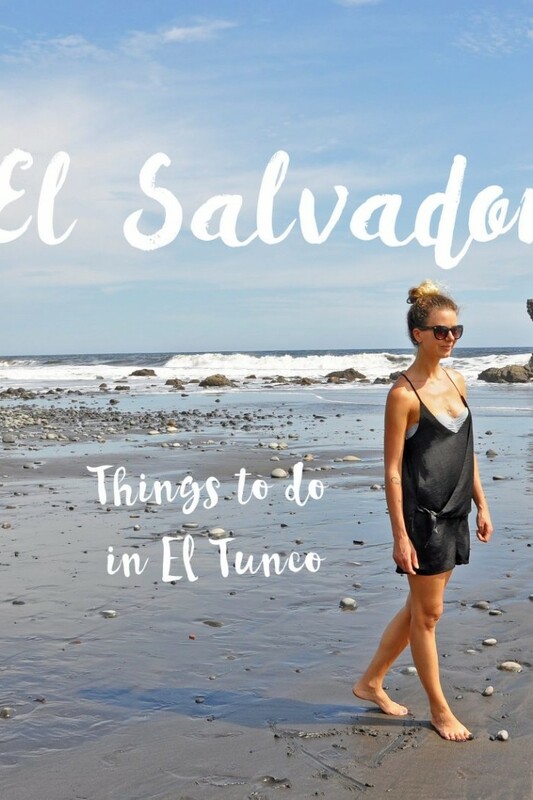 Here’s the full list of places we went and saw in order that we highly recommend. Reykjavik, Pórufoss Waterfall, Pingvellir National Park, Bruarfoss Waterfall, Gullfoss Waterfall, Heifoss, Seljalandsfoss Waterfall, Gljúfrabúi Waterfall, Skógafoss, The Icelandic Horses, Solheimasandur Plane Wreck, Dyrhólaey Arch, Kirkjufjara beach, Reynisfjara Black Sand Beach, Vik, Fjaðrárgljúfur, Kirkjubæjarklaustur, Svartifoss, Skaftafell, Fjaðrárgljúfur, Kirkjubæjarklaustur, Svartifoss, Skaftafell, Dettifos and Selfoss Waterfalls, Hverir, Hverfjall, Krafla, Myvatn Nature Baths, Góðafoss Waterfall, Akureyri, Snæfellsnes Peninsula, The Black church, Kirkjufell, Kirkjufellsfoss, Djúpalónssandur beach, Londrangar, Hellnar, Arnarstapi, Rauðfeldsgjá Gorge, the Blue Lagoon. 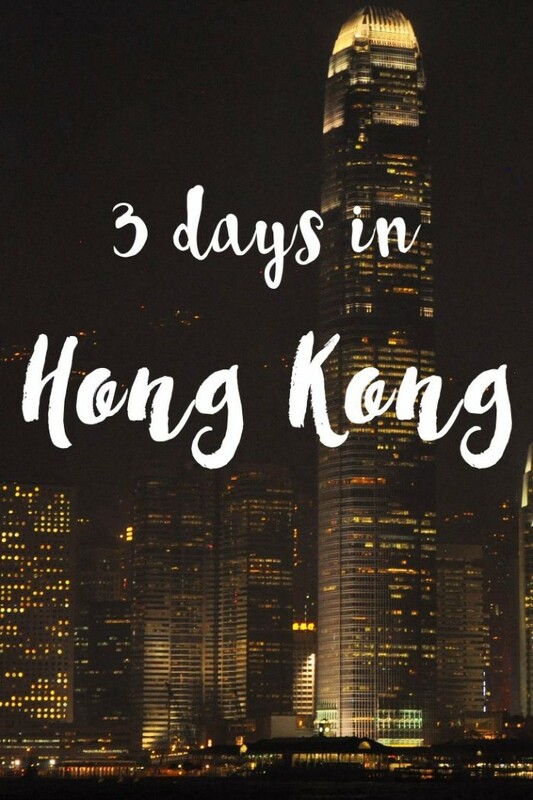 This is serious travel goal for me – its just WOW! Thank you, we are so happy you liked it. Amazing! 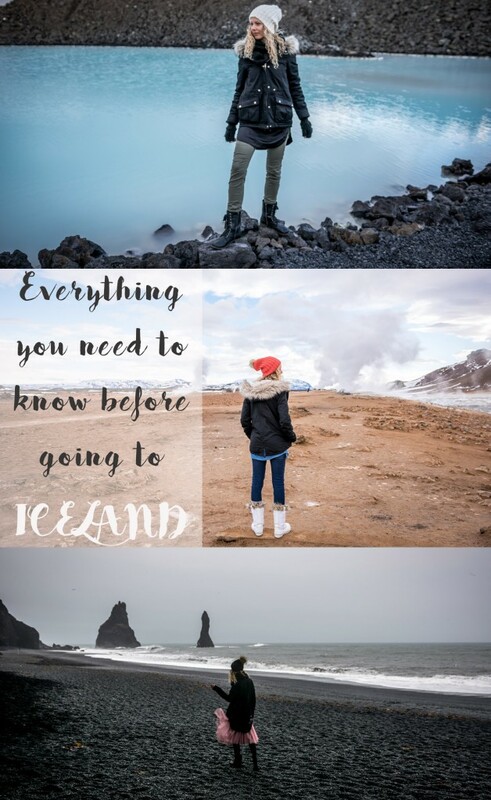 I’m adding this post to my Favorites for when I start planning our so dreamed Iceland trip. Thanks a lot!